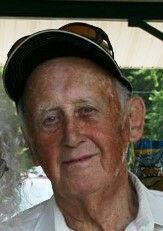 Edwin H. Paradis, 93 of Conneaut, passed away Wednesday April 10, 2019 with his family by his side. He was born June 16, 1925 in Ogdensburg, NY. He was the son of Philip and Carline (Mitchel) Paradis. Edwin served in the Navy during WWII aboard a light cruiser for 2 ½ years in the Northern Pacific. He retired from RMI Company in 1987. He enjoyed fishing, bowling, dancing, golfing and spending time with his family. He had a happy full-filled life. Survivors include his wife, Boneita (Adams); son John Paradis, Sr., of Jefferson; stepchildren, Boneita (Bill) Simmons of Conneaut, Debi (Don) Gatlyn of Vass, NC, Ruthie (Mark) Reagan of Ashtabula, Trudy (Gary) Millikan of Hurly, NY and Kim (Dave) Cole of Conneaut; He was also blessed with 15 grandchildren; 8 great-grandchildren and 1 great-great grandchild; 8 step-grandchildren and 8 step-great grandchildren. He was preceded in death his parents, 1st wife, Laura; siblings, Lucille, Gladys and Lewis; step children, Betty Milton, Richard & Thomas Masters. Flag Presentation by American Legion Cowle Post 151 will be held 1:00 PM Saturday at the Church of God, 5327 Center Rd., Conneaut, with the Memorial Service immediately following with Pastor Carson Robson officiating. Family will receive friends from 12:00 noon until time of service at the church. Inurnment will take place at later date in Greenlawn Memory Gardens in North Kingsville. Arrangements have been entrusted to Marcy Funeral Home & Cremation Center, 208 Liberty St., Conneaut.